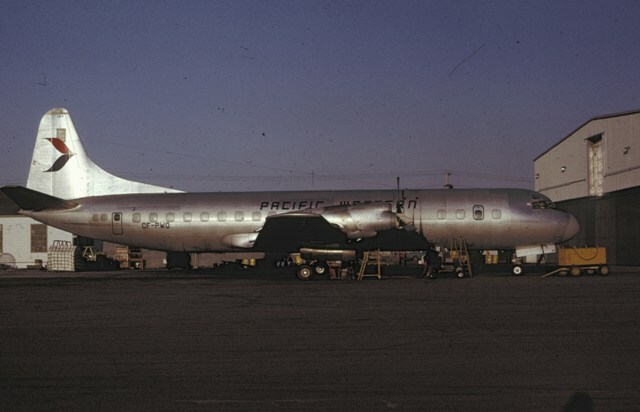 For a period in the early 70's, Pacific Western operated a Lockheed Electra fuel tanker aircraft. This equipment was used to support the arctic oil exploration projects. 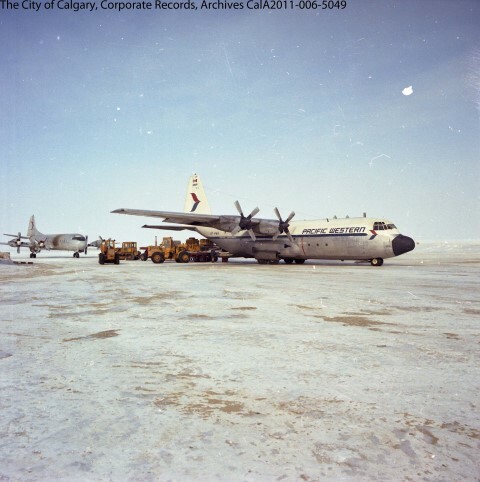 It was unique in that fuel tankers were rare and this aircraft had the name and logo painted over the shiny unpainted aircraft.